When you walk down the charming cobblestone path that leads to Jacques Reception Center, you will be filled with joy and ease. Greeted by our team that is backed by six decades of experience, you’ll know your wedding dreams are in good hands. 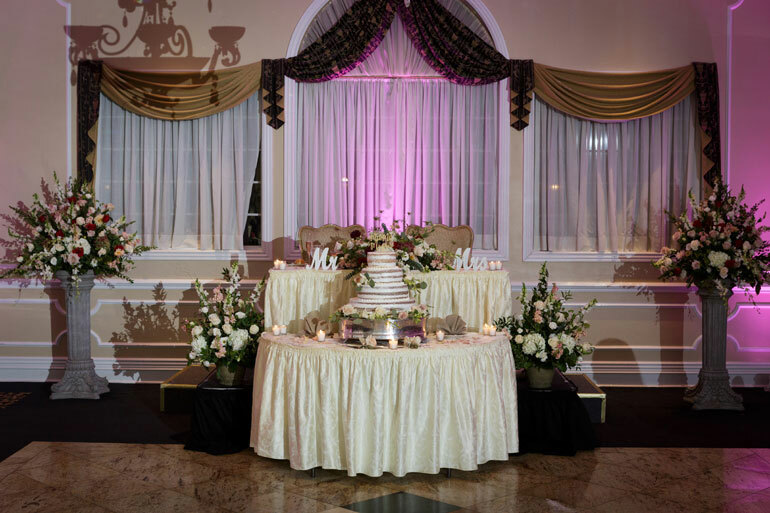 Working together to achieve your wedding vision, you watch in awe as it reaches new heights in this prized New Jersey wedding venue. From its stunning architecture to its enchanting surroundings, Jacques Reception Center’s immaculate features will light up your wedding vision. Drawing inspiration from the serenity of old-world Rome, Jacques Reception Center treats you to a relaxing experience from the moment you arrive and step into the luxurious antique-filled bridal suite. Get ready in this peaceful space while your true love enjoys equally tranquil moments. With our trusted staff overseeing your plans, you’ll step out to be reunited with the full confidence that comes from knowing your wedding will be flawless. Give yourself the peace of mind that comes from knowing you and your guests will enjoy a hassle-free wedding day. 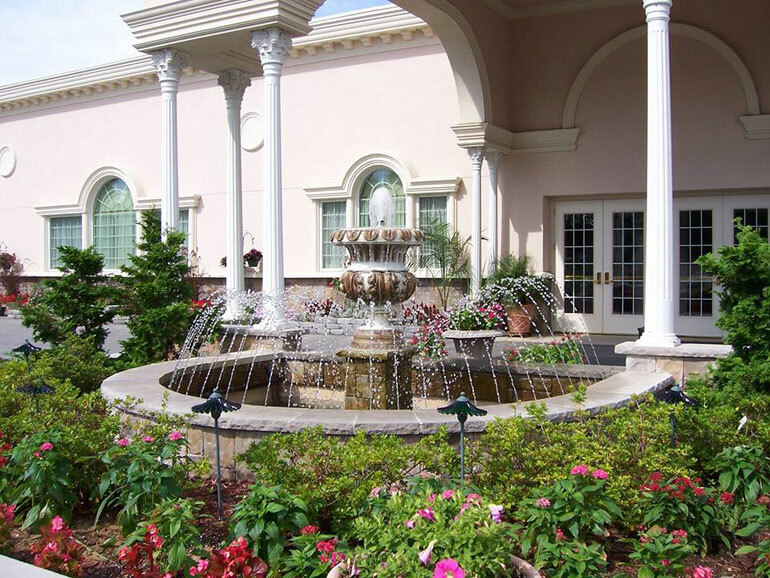 By choosing a New Jersey wedding venue that has beautiful ceremony and reception areas, you remove the unnecessary stress that excessive transportation needs can create. Say your vows in our ceremonial gardens under a shaded pergola decorated with elegant silk drapery and then head inside to an immaculate party space. 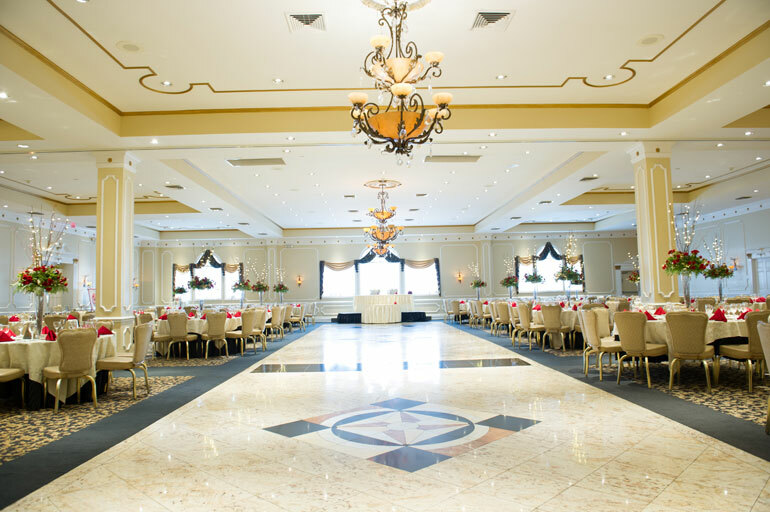 Look up at Jacques Reception Center’s soaring ceiling adorned with imported Italian crystal chandeliers or glance down at the chic granite dance floors—either way you’ll be enchanted by the charming atmosphere of the space. Glamorous yet warm and welcoming with its gentle hues, beautiful wedding themes come to life with ease in this flexible space. Imagine a Gatsby, 1920s or fall theme depicted among its beautiful Roman décor personalized to match your style. Whether snapping group photos before your wedding or exquisite shots that capture your pure love, your photographer will have no shortage of incredible settings to work in at Jacques Reception Center. Outside, pause in front of the grand entry gates or take a seat on one of the stone benches around the Italian garden. As night falls and the Roman fountain lights turn on, be enamored by this beautiful backdrop. Head into the reception center and you will find a baby grand piano in the entry foyer as well as a warm and welcoming stone fireplace in the interior. In each of these incredible wedding photo ops, your love and joy will shine through. Although crafting your custom wedding menu from more than 70 differing options is one of our favorite ways to personalize your wedding experience, our efforts extend far beyond offering creative dishes like yellow dragon sushi and salted caramel ice cream bars. 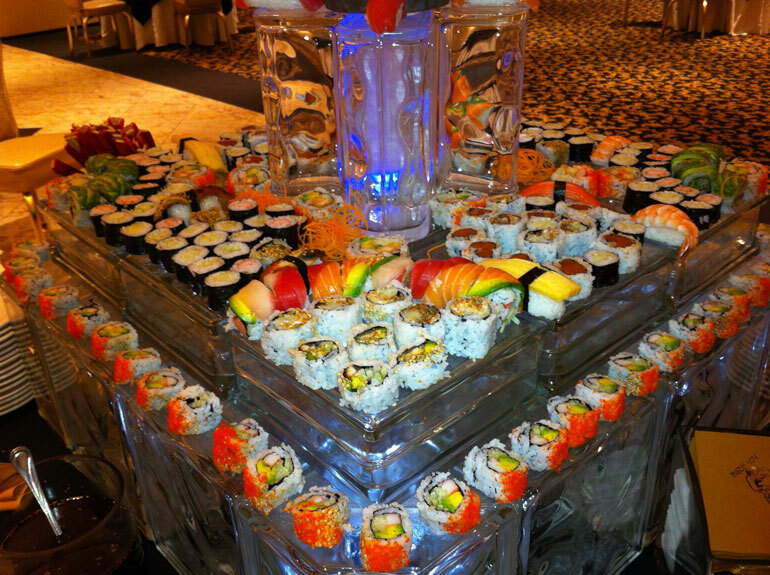 In fact, you may prefer to pair our most popular wedding menu items like our slider bar and Philly cheese steak station with décor that speaks to your unique taste. Choose your favorite color uplighting, place family photos on the fireplace mantel and for a DIY project create homemade wine bottles to give out as wedding favors. From weaving flowers and vines into the pergola and hanging lanterns and candles in the aisle to filling a photo booth with your favorite props, our experienced team knows how to integrate your personality into your menu and décor in memorable ways. To take the stress out of the intricate wedding planning process, benefit from the beautiful features and skilled team that support your unique vision displayed at Jacques Reception Center. To start the exciting journey that brings your wedding dreams to life with ease, contact us online or give us a call at 866.522.7873.